Those who like EZ Horse Betting in the United States are accustomed to only betting on a race before it begins. You might be surprised to find out that bettors in the U.K. are able to participate in something known as in-play horse betting. This means that they can actually make bets as the race is in progress. Imagine the advantage you might gain if you could pick a horse to win after half of the race has been run! This may seem impossible but British punters do it all the time. In-play horse betting is still a relatively new form of wagering in Britain and Ireland. In most other areas of the world this type of betting is still not available. There were a couple of factors which helped its promotion in Britain. Internet horse betting was the biggest factor it seems. Online racebooks and high speed Internet connections made it possible to for bets to be processed at lightning speed. Prices could be updated many times, even throughout the running of a race. Another factor was the rise of the Betfair betting exchange. This progressive racebook has altered the way many people bet on horse racing. To make an in-play horse bet is to bet on a race in progress. This also means that the odds offered on each horse can change as the race unfolds. Obviously, the earlier you make a wager the more generous the price for your bet. The better the bettor’s Internet connection, the better the chance that they will be able to quickly capitalize on bets made as a race is ran in real time. Making an in-play horse bet is not for the faint of heart. It requires nerves of steel, a fast Internet connection, and a lot of homework. One thing you cannot do is simply make a guess while you watch the race and hope that you are correct. Composure and a steady hand are two of the most important qualities of an in-play bettor. He or she must wait for just the right moment before pulling the trigger on a bet. Acting too soon or too late can mean the difference between a win and a loss. It can be tempting to act early on a bet out of eagerness. This would be a rash mistake. The speed of one’s Internet connection is of massive importance. 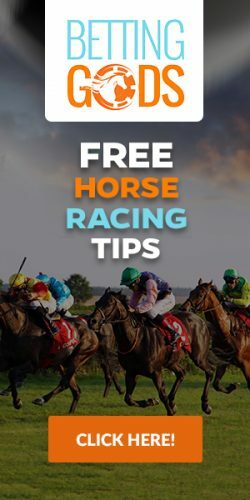 To make in-play horse bets online you must have lightning fast connections. You make think that your Internet connection is fast, but there are difference between a high speed connection and a super high speed connection. The difference might only be a second but a second is an eternity in horse racing. Horses can travel a lot of ground in a mere second and the shape of a race can change dramatically. Another important aspect of in-play betting is a strong understanding of sectional times and how they may impact the running of a race. For example, if you know that horse are traveling too fast in the early stages this may affect your judgment of where horses will finish. Knowing this before other bettors know it is key to making an in-play racing bet profit. Finally, the successful in-play bettor is one who does massive amounts of homework on horses, jockeys, trainers, and race tracks. You will find that many bettors of this type keep detailed notebooks on the racing circuits they bet so that they can call upon this information at a moment’s notice. Many will tell you that the only way to truly become skilled at making in-play bets is to follow a circuit every day until all the respective players are ingrained in one’s memory. Will In-Play Betting Come to the United States? If you use a racebook which caters heavily to overseas racing like Betfair, then you will be able to make in-play bets. If you use a racebook like Twin Spires that is based in the United States then you will not be able to make these bets. So far, the United States racebooks have been hesitant to adopt this controversial wager. It could be that the online racebooks in the United States simply do not have the technology at the present time to offer this wager. Another factor is that bettors in the United States may not have the skill yet to master the wager. This could make interest in the bet very low compared to other types of bets. Still, the prospect of in-play betting for United States handicappers is an exciting one. Why? Because American handicappers know how hard it is to pick a winner before the race begins and they are eager to obtain any edge they can. There is no doubt that some very smart handicappers would find a way to take advantage of this bet if it were offered in the United States. It probably wouldn’t take long for the bet to become very popular. Once online racebooks realize the profit that can be made from the takeout on such wagers, you can expect that it will make its way to America’s shores. In the meantime you can still watch and wager on horse racing by opening an account with one of our recommended racebooks. It only takes a few moments and you will receive a nice welcome bonus just for signing up. You can then watch and wager from your computer, phone, or tablet.